Obituary for Lynn Jeanne Manning | C. L. Page Mortuary, Inc.
Lynn Genise Manning was born June 19, 1959 in Jacksonville, Florida to the late Pharoah Manning and Lucille Darden Manning. Through their union they had 10 children, Lynn being the fifth. Lynn received Christ at an early age at Antioch Baptist Church under the leadership of Reverend J. J. Jones. Lynn attended local schools in Jacksonville, Florida. After school, Lynn immediately embarked upon her career as a Manager at E & Y where she helped many get employed. That was Just one of Lynn’s many attributes, helping others. Lynn loved cooking, dancing and having fun, but most importantly, she enjoyed providing food and shelter to anyone who needed a place to stay and something to eat. Lynn will mostly be remembered for her or Sporty Mouth, fashionable appearance and sweet smell. Lynn was preceded in death by her parents Pharoah and Lucille Manning. 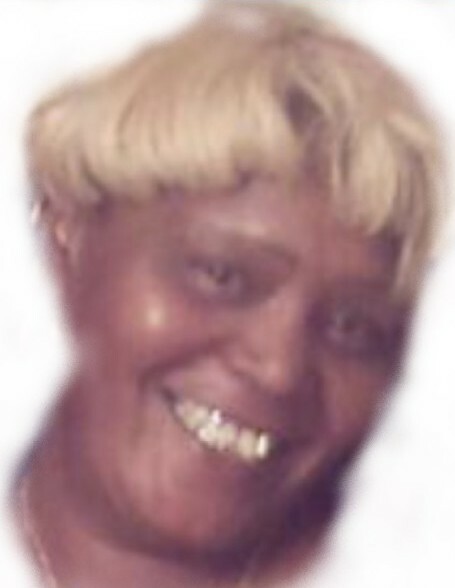 She leaves To cherish in her memories, Fiancé, Bobby; children, David (Jeanie) Manning, Lynette Manning and nephew/son, Anthony “Boss Hog” (Leiche’) Jacobs; grandchildren, Davielle,Daneshia Diamond and Samiya Manning Wynter Bartley Anthony III, Artavius and Ahmari Jacobs; siblings, Pharoah Manning, Cheryl (Lyndon Sr.), Gray Bruce (Marilyn) Manning, Tommy (Janet) Manning Kimberly Williams Paul (Lavedra) Manning Peter (Cathy) Manning, Julia Jacobs and Debbie (Lyndon Sr.) Townsend of Phenix City, Alabama; aunts, Julia Williams and Lily Williams of Albany, Georgia; special nephew and nieces, Tommy Jr., D’Angelo Paul Lyndon Jr.(Hubba Bubba) and Amanda (Cudda Momma) Trice; good friends, Denise Mitchell, Stacy Lynn Reynolds, Pat Rice, Walter Harris, Tommy Rosado and a host of other relatives and friends.